About Start Them Right Inc. 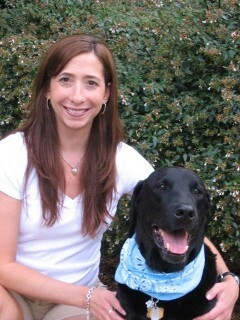 Safe, effective dog training begins with Start Them Right, Inc. in Cary or PIttsboro, NC. Dogs should be carefully taught how to live in our society. Dogs think and understand from the canine perspective. Many canine behavioral problems result from a dog's confusion over what is expected. Reprimanding misunderstanding should never occur. We can teach you how to guide your dog to understanding what is expected and rewardable behavior. A deep, positive, trusting relationship with dogs is the cornerstone of my training. Dogs enrich our lives. WE must do all we can to understand and train them. A life-long love of dogs and thirty years of working with dogs in a wide variety of different capacities fuels my passion for helping others understand their canine companions. 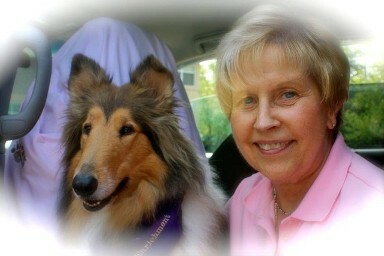 My experiences include training dogs in obedience, tracking, field work, agility and therapy dogs. I began teaching Puppy Kindergarten, Beginner classes, Canine Good Citizen and Advanced Classes at Northwoods Animal Hospital in Cary in 1991. Start Them Right, Inc. began in June, 2000. have since taught at other veterinary hospitals in Cary and Pittsboro. Since 1985, I have been serving as a volunteer Region Coordinator for the North Carolina Puppy Raising Program of Guiding Eyes for the Blind. In addition to the responsibilities of Region Coordinator, I raised four puppies for Guiding Eyes. I am a co-founder and active volunteer of PEP (Pets Engaging People, People Engaging Pets), a Pet Therapy group in the Triangle area. Retirement from a career as a Certified Nurse Practitioner freed me to pursue my passion for dog training. My husband and I currently live on a small farm where our lives are blessed with five dogs, one cat and two horses. According to legend, (at least the legend recounted by her mother) Sheri Phillips-Majmundar’s first word was neither “Mama,” nor “Dada,” but instead, was “dog.” Turns out first words can be prophetic, given the path Sheri has taken since that day. After years of adopting, caring for, dreaming about, and chasing after all kinds of dogs (many of which did not actually, you know, belong to her), in 1996 Sheri moved from Brooklyn to Cary. Before she set foot on North Carolinian soil (or even knew if she actually had a place to live! ), Sheri took a position with Northwoods Animal Hospital as a veterinary nurse. During one evening at work, Sheri found herself observing a session of puppy school being taught by Sherry Dodson. As was her instinct with her first word, Sheri immediately understood that she wanted to be a part of that program, and has worked with Sherry since that time. expectations. Sheri truly believes that a happy and satisfying relationship is based not only on the temperament of the dog, but how a breed of dog may interact with the personality of a family. Indeed, although Sheri spends a great amount of time training dogs, she spends more time training people! After assisting in the selection of a dog, Sheri will go to work with a family to ensure that the dog comports with the needs and manners of the family, taking into account time schedules, motivations, children, and other pets. Along with hundreds of dogs, Sheri has trained her husband, Amar, her two sons, Sam and David, and Violet (who, despite constant training, has not quite yet accepted the fact that she is not actually the CEO of Majmundar Family, Inc.). Before Violet, Sheri had the true fortune of calling a black lab named “Clipper” her “No. 1 son.” For fifteen years, Clipper served not only as a true and special member of the family, but was Sheri’s “demo dog” and help to demonstrate all things sweet, wonderful, and affirming about the relationships people can have with their dogs. Not only was Clipper certified as a Canine Good Citizen, he was a constant reminder of how precious and enriching a well-trained dog can be.